While most quick serves are taking advantage of Facebook’s potential with their marketing efforts, one brand is going a step further by using the social media giant as a franchisee recruitment tool. Christie Wells, customer experience and communications manager for Häagen-Dazs Shops, says the brand is using Facebook for its recruitment efforts because of the size of audience it believes it can reach there. “We knew that there are [Häagen-Dazs] fans out there, and we wanted to find a way to capture them,” Wells says. 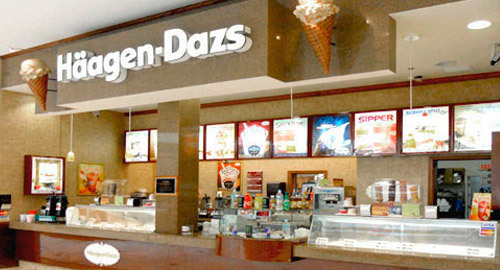 “We also wanted to use it as a development tool to increase awareness of our franchise opportunities, and at the same time provide a fun way for fans of the brand to learn about Häagen-Dazs Shops and franchising in general.” The Häagen-Dazs Facebook page, which is unaffiliated with Häagen-Dazs Shops, has more than 560,000 fans. Wells says the interactivity that Facebook offers is one of the best advantages to a franchisee recruitment tool on the social media hub. “We’re definitely always looking for new ways to find good leads and find where the right leads are for us,” she says. Tim Alexander is director of digital operations for MDG Advertising in Boca Raton, Florida. MDG’s digital division provides digital brand development, research, website architecture design, site development, CMS, intranets, social media initiatives, and blog development. MDG’s SEO services include site audits, keyword research and content development, competitive analysis and direct link building. A full-service South Florida advertising agency with offices in Florida and New York, MDG Advertising handles creative, media, and interactive marketing for Coverall, one of the world’s leading commercial-cleaning franchising companies, with a global network of more than 90 support centers and 9,000 franchisees. For more information, call 561-338-7797 or log on to mdgadvertising.com.